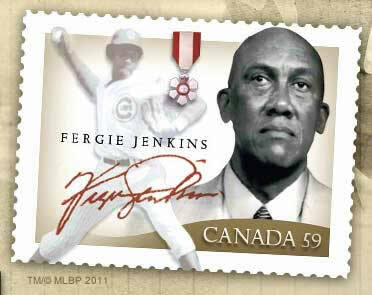 Fergie Jenkins - Mailing In an Item? Do you have your own item you'd like autographed by Hall of Famer Fergie Jenkins? The Fergie Jenkins Foundation has mailing addresses in both Canada and the United States and we're happy to accommodate all your autograph needs. Make sure you include a SASE (self-addressed stamped envelope) with your item so that it makes its way back into your hands. One inscription (usually HOF '91) is included with additional inscriptions available for just $10. Prices and mailing details are below.